How much does a lawyer cost, if I need the best DUI lawyer? Beyond cost of a DUI lawyer, what other expenses will be involved? Are DUI attorney payment plans common, or are DUI attorney fees paid up front? Do the best DUI lawyers REALLY know how to beat a DUI in court? When I select a DUI defense attorney, how often do I have to go to court? Does a DUI law firm with the best DUI lawyer have other good DUI attorneys? Without doubt, anyone facing DUI charges should consult with a DUI lawyer in their court location. The average citizen thinks that drunk driving is not that big of a deal, but that is because they have never investigated the DUI penalties and DUI consequences that follow a conviction. Since every state in the USA and the District of Columbia have different DUI-DWI laws, no common rule can be followed on issues like expungement, diversion, deferral programs, ignition interlock programs, or first offender alternatives. 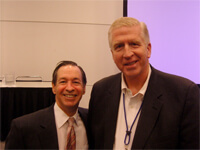 So, speaking to a good DUI attorney is imperative. Luckily, most DUI attorneys offer free consultations. Some may limit this to short phone conversations, but the best DUI lawyers in most jurisdictions gladly speak to a potential client who is seeking private legal counsel in person. Our DUI law firm encourages it, because our perspective is that you would not want to hire a surgeon for a serious medical problem without meeting with him or her. Plus, a lot can be gleaned from visiting a DUI lawyer’s office, and meeting his staff. Many drunk driving defense cases take months or years to resolve, so it is good to know if you the DUI defense lawyer has a great team. Public defenders are free DUI attorneys, that the Government pays, for those who are indigent. The guidelines for establishing indigent status varies. But, if you are basically going from month-to-month, barely covering your bills, and have no savings beyond a few thousand dollars of emergency funds, then applying — at your criminal court — for an appointed lawyer is the first step. Most courts charge you to apply, since the court clerk will undertake a background check on you, to confirm your indigent status. Most courts are about $50. Plus, when you apply ask what the requirement is, for paying back the Government, if you are not acquitted of the charges. Most states, due to austerity plans, tend to make the indigent offender pay back the appointed lawyer’s cost, if you lose or plead guilty. How Much Will a Lawyer Cost – For the Best DUI Lawyer? DUI lawyer cost varies so widely that trying to advise you of DUI attorney fees in your court location is foolhardy. The basic rule of thumb is that a highly-rated DUI lawyer will require fees BEFORE the case is concluded. This is true even if optional DUI attorney payment plans exist for that criminal attorney, or another member of the DUI law firm. Plus, be very wary of anyone trying to steer you to a DWI-DUI lawyer unless he or she has used that DUI attorney, and gotten the drunk driving charges dismissed, or reduced to a lesser offense. The most common reduction is DUI reduced to reckless driving or careless driving. Retainer fees for the best can exceed $10,000, but almost all top DWI-DUI law firms have partners and associates who have been trained by and who collaborate with the best DWI attorney. The following factors will play a role in what a DUI defense attorney charges for legal services. Like most products or services, supply and demand drive the price up. The range of legal fees for DUI attorneys runs from virtually nothing, to very expensive. Years in law practice as a criminal justice attorney. Is the criminal attorney a DUI lawyer? This will mean that 80% or more of all his or her cases are DUI-related. By this description, felony serious injury cases caused by DUI, child endangerment based on a DWI arrest (felony and misdemeanor), vehicular homicide (felony or misdemeanor) by a drinking driver, DUI vehicular manslaughter, intoxication manslaughter, or even a first offense DUI. Are fees set up to be flat fees, based upon how long and how far the DUI charges must be fought? This fee arrangement is typically a retainer up front, and the retainer may be split into two or three installments or segments, if the case will not be “fast tracked” under your state’s DWI-DUI speedy trial laws. (Read more below, about the differences in States, for exercising your right to a speedy jury trial). Board certification by NCDD.com (for DUI defense) or by the attorney’s State Bar. Martindale-Hubbell – America’s oldest and best known attorney rating agency, that verifies lawyer reputation from at least 20 attorneys. Martindale.com. Lawyers are graded, with “av” being highest skill, and 5.0 the top of those “av” ratings. “Preeminent” is their designation for attorneys with the highest ethical values. Super Lawyers – Two designations exist: Super Lawyer and Rising Star. Attorneys under age 40 can only be in Rising Star category. The designation has been available in some states for about 6 or 7 years, but for other states, 14 to 16 years. Repeat Super Lawyers’ recognitions over time earmark the top DUI attorneys in those states. Don’t be wowed by a string of meaningless badges from companies that offer ANY attorney the right to pay and join. Dozens of these pay-for-badge organizations already exist, and the usual requirements for inclusion (and getting a badge) are (1) are you a member of the Bar? ; and (2) did your check clear? 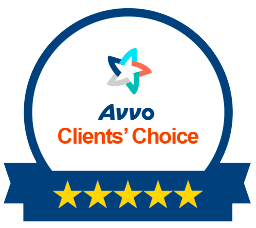 Client reviews and ratings can be very helpful, but be aware that some lawyers have created fake reviews and ratings. Read all the prior clients’ remarks, and get a feel for whether these lawyer reviews seem legitimate. Plus, was the person praising skills at trial, or at pretrial motions? This may point to a criminal attorney who fights every case. Legal directories try to monitor bogus attorney rating postings, but do not have the tools that Google has, in ferreting out cheaters. Meet with two or three top echelon candidates. Size them up. Get a feel for their personality, their willingness and ability to explain state DUI law, and let each one give you a preliminary assessment of the quality of your case. 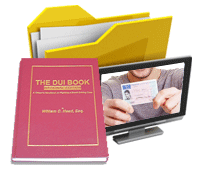 Without FULL information, like the police report and any the arrest DVD evidence, the DUI attorney’s ability to predict an outcome may be limited, at a first appointment. Ask the hard questions of each criminal defense attorney.If you still are not sure which DUI lawyer is top rated, then the last step is to plan a trip to YOUR criminal court on a date that it is in session for criminal matters. This needs to be done prior to your first court appearance date. Learn which Judge is assigned to your case, and go to that court on an earlier arraignment date. Watch what happens. When the Judge takes a break, walk up to the area where the court personnel sit, and ask to speak to one of them (not the Prosecutor).Then tell them that you are in Court to observe, and that you are trying to select a DUI lawyer, and that you WANT THE BEST. Then tell them the names you are considering, and ask WHICH one (on your short list) they would hire, based upon wanting to WIN THE DUI case. This is an unbiased, knowledgeable resource, since these courtroom personnel will KNOW who the best DUI lawyers are, for that court location. Because DUI laws are different in every jurisdiction, most DUI lawyers only practice in one state. Some attorneys in border cities will take the Bar and get licensed in more than one state. However, there is typically only ONE best DUI lawyer in each average American city. Due to the volume of business, expect to find as many as half dozen or so top-rated drunk driving attorneys in major metropolitan population centers, like Philadelphia, Dallas, Atlanta, Detroit, Seattle, Phoenix, Denver, Los Angeles, St. Louis, New York City, Miami and Chicago. This is why you need to do your own investigation and due diligence in finding the right criminal defense attorney who is a DUI lawyer. Asking friends or colleagues about DUI lawyers is embarrassing, and not something that everyone feels comfortable doing. If you know ANY lawyer in the same city location of your criminal court case, he or she will likely know the names of one or more top-notch drunk driving defense attorneys. These types of knowledgeable attorney referrals to a DUI lawyer are usually excellent. Beyond Cost of a DUI Lawyer, What Other Expenses Are There? Because every drunk driving case has different evidence in it, the issue of what extra costs might be added to the DUI lawyer cost is not a static number. Does your case need an accident reconstruction expert? Does it need a field sobriety test trainer, to act as the expert witness to exclude the HGN eye test? People unfamiliar with litigation sometimes think that their lawyer should be able to do some of these things. The DUI lawyer cost is akin to a surgeon, who has to have nurses, an anesthesia technician, and other support personnel to smoothly take care of all aspects of surgery. In many ways, a DUI attorney is like the COACH of a sports team. He or she does not participate in the actual contest. The DUI lawyer choreographs the DUI defense, and cross-examines the Government’s witnesses and evidence. The biggest lawyer cost items can be for expert witnesses for DUI motion hearings or a DUI trial. When a client comes to us and has exercised his or her legal rights to NOT do field sobriety tests, to NOT talk to the officer and to NOT answer self-incriminatory questions, and NOT attempt any of the voluntary, optional but highly incriminatory field sobriety tests, your DUI defense team likely will not need for you to hire most or any of these possible DUI expert witnesses. Breath alcohol test machine expert witness, if you took a breathalyzer. Field sobriety experts, to neutralize and “answer” the police officer’s testimony about the high reliability of these bogus tests. Medical doctors as expert witnesses, when a medical condition like gastro-esophageal reflux may have added to the breath alcohol readings, or an orthopedic physician who knows your prior surgeries, or about your physical limitations on doing agility exercises, or an eye doctor to show that you are not a proper candidate to be given the HGN (horizontal gaze nystagmus test). Court reporter costs. After the 2007 recession, many court systems shifted costs of a court reporter for any contested cases, to the shoulders of the litigants. Since most DUI cases have both an administrative law component and a criminal case component, your DUI attorney may want a court reporter to cover both proceedings, so that a good record of sworn testimony is obtained. This can be used for impeachment later, when and if trial is required. Investigator fees – With DUI accident cases, and with other disputed facts (e.g., denying that there was a lane violation, or refuting the fact that the field sobriety test location was level and free of road debris), an expert witness may be needed to collect evidence. This person is already skilled at testifying in court, and is independent of all parties. An investigator who is a family member often will be considered as biased by jurors, and his or her testimony may not be accepted at all. Occasionally, our law firm will need to “lay a foundation” at trial, for photographs or video footage, as to the date, place and purpose of such images or video. When you go to trial and win the DUI case by obtaining a dismissal, or after a jury trial, or if a pretrial motion to suppress all evidence is successful, none of the following costs will apply. THAT is the benefit of hiring the best DUI lawyer, when and if you can afford the DUI lawyer cost. Fines. Depending on felony or misdemeanor, from $200 to over $20,000. Most states have statutory minimum fines, and statutory maximum fines. Surcharges or add-ons that your State legislature has approved, as a means of offsetting trial expenses. These can be several hundred dollars to several thousand. This is a form of taxation that many conservative state legislatures have shifted over to the shoulders people that have little say-so on the next election. In several states, the state add-ons can double, triple or more, your criminal fines. Ignition interlock installation, maintenance and monitoring. Depending on the state, and the number of prior convictions, the time frame for interlock installation, for a restricted license, can be from 6 months to as much as 11 years (New Jersey). Think of this cost, at $10 to 15 per day. DUI school, or DUI classes to enable early reinstatement of your full driver’s license. Even in some DUI cases that are reduced to a lesser offense, this DUI school “educational” component of completing DUI classes may be court-ordered, and a condition of probation. Alcohol and drug assessment by a state-approved or certified evaluator. Plus, if treatment is recommended, this may be court-ordered, for you to complete as part of probation. Attend MADD V.I.P program, or similar DUI consequences sessions. These are presentations by families and victims of prior DUI-related tragedies. Community service hours, that can run from 20 to 480 hours. In most states, these hours are part of the court-ordered sentence, and must be completed well before probation terminates. Random drug and alcohol screening is part of many second offense (or subsequent repeat offenses). These costs vary, but can be from $15 per urine test to $25 per test. Repeat offenders, and some people who get a new DUI arrest may be required, as a condition of being released from jail, to wear a transdermal ankle monitor, which continuously checks your body for any trace of alcohol. Another option may be home detention, wherein an electronic device is attached to a hard line (wired) phone, and random calls are made to the detainee, when he or she must be home, so that breath alcohol testing can be electronically taken and the results recorded. Probation supervision can cost from $30 a month to nearly $100 per month. Governments have turned over probation duties to private companies, and these costs have skyrocketed in the past decade or so. Misdemeanor probation can run from 12 months to several years, and payment of all supervision fees is mandated by your criminal court. A few states let first offenders avoid probation by doing jail time instead. Are DUI Attorney Payment Plans Available, or Are Fees Paid Upfront? Prior to the 2007 recession, some DUI lawyers insisted on full payment of the entire legal fee up front. Few are still able to demand that type of front-loaded legal fee payments. The major reason that a substantial first attorney fee must be paid is that once a criminal lawyer “enters an appearance” as your DUI lawyer, he or she is your attorney until the Court releases him or her form that duty. If a mutual agreement for the attorney to withdraw as the accused’s attorney cannot be reached, then the criminal lawyer must file a petition with the court, citing your failure to make scheduled payments, and you will be required to come to this hearing. Judges routinely grant these petitions, but such proceedings are not what the best DUI attorneys like doing. Our objective is to do all possible to win the DUI case, or find the best outcome available in terms of mitigating punishment. Because every criminal court system in the 50 states and District of Columbia moves at a different pace, top-rated, experienced DUI lawyers know how long, on average, your case is going to take. A few states have statutes (a speedy trial act) that mandate expeditious handling of DUI cases. Other allow the accused drunk driver and his criminal attorney to make written “demand” for exercising their right to a speedy trial. All legal fees for your drunk driving attorney must be paid before each “stage” of court proceedings begins. By way of example, a 3-part fee may be set up as “retainer-motions-trial.” In a two-part fee arrangement, the retainer and trial fees may be the two stages for payment. The retainer is usually the largest amount, in flat fee contracts. By contrasting laws in five states, you can see why some DUI-DWI-OWI attorneys must front-load their legal fees for drunk driving cases. Different states have drastically different rules for expediting criminal cases for trial. These five states’ different rules and timetables let you know why criminal defense lawyer fees are often needed within 30 to 60 days, in some jurisdictions. West Virginia – State law calls for a criminal felony case to be tried within one term of court, which is 120 days, in WV. But, scheduling issues often arise, and the cases are continued well past this 120 day limit. And, due to most DUI arrests being misdemeanor DUI offenses, the same urgency is not imposed on these cases. However, all criminal cases have a three term rule, that puts a one year limit on the time for disposition, even where the DUI lawyer for an accused citizen has not asserted a right to speedy trial. The criminal case, and contested driver’s license revocation can take well over a year to complete. It is common for the DUI criminal case to be resolved by your WV DUI lawyer before the DMV gets around to hearing issues about a refusal to be tested after arrest, or blowing over the legal limit. So, DUI legal fees may be spread out to accommodate the long, slow process of the dual court proceedings. The right to speedy trial is for CRIMINAL cases, under Barker v. Wingo, and the slow, plodding path of the administrative license revocation in West Virginia is not controlled by the Sixth Amendment. Plus, the administrative revocation is 100% independent from the DUI misdemeanor or DUI felony case. Georgia – The initial administrative license suspension hearing date can occur in 60 days (or less) after your arrest. In almost every DUI case in Georgia, the DDS (the Georgia equivalent of the DMV or DPS) is resolved before the criminal case. Without filing a statutory speedy trial demand, a case will run between 5 months and 36 months. The GA DDS appeal must be initiated within 30 days in Georgia. Missing this filing date means that the driver can be suspended for a full year, with no restricted license, for DUI refusal cases. 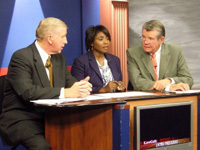 The criminal case arraignment is usually about 40 days after arrest, and Georgia laws allow for a statutory speedy trial demand to be filed, which can procure trial in 120 days or less in the large population metropolitan counties like Fulton, Cobb and Gwinnett, after arraignment. Because delay can be an ally, fewer than 5% of all criminal cases in GA have utilize a statutory speedy trial demand. If the demand is properly and timely filed, and the Prosecutor fails to meet the time frame for trial, the DUI case is totally dismissed, and harm is presumed, under this special speedy jury trial law. Effective July 1, 2017, Georgia amended its DUI laws to include an ignition interlock device option for certain drivers accused of DUI. This new amendment states that if you give up your right to file an appeal of the administrative license suspension, you can elect to have an ignition interlock device (IID) installed on your vehicle. An interlock is hard wired into your vehicle’s ignition system, and it will keep your vehicle from starting if it detects any level of alcohol on your breath. The device comes with a “blow tube” similar to the portable breathalyzer carried by police. To start your vehicle, you first blow into this tube and wait for the results. If you have had any amount of alcohol to drink, the device will stop your car from starting. You cannot trick or override this system so don’t try it. The interlock must remain on your vehicle for 120 days if you agreed to take a breath, blood, or urine test after you were placed in handcuffs and transported to the nearest police precinct or medical facility. If you REFUSED to give a sample, you must keep an interlock in place for one full year, even if your case is dismissed or your charges were reduced during that year period. This new law excludes drivers under 21 years of age, CDL commercial drivers, anyone with at least one other DUI in any state in the past 5 years, and any out-of-state license holder. South Carolina – By contrast to the neighboring state of Georgia, South Carolina has no such speedy trial demand as part of its DUI laws or criminal procedure laws, and DUI lawyers in that state must rely on the United States Constitution, Amendment VI, for any limited benefit of a constitutional speedy trial. To win on this basis, a four-prong analysis of fault of the Prosecutor in not moving the case in a timely manner plus proof of harm by the accused citizen is required. A landmark, right to a speedy trial case in America is the U S Supreme Court case, Barker v. Wingo, handed down in 1972. While the case does talk about the importance of quick justice in criminal cases, this case set high burden (on the criminal defendant) to show proof of harm caused by a prosecutorial delay of moving forward with trial, so that few cases in SC are won by defendants in DUI cases on this basis. The Barker v. Wingo standard is most likely to be granted where an accused citizen is kept in jail, either without bond, or simply cannot afford to be bailed out of jail. Few OUI-DUI arrestees remain in jail, pending their drunk driving trial. The lack of an optional state constitutional speedy trial rule, or state statute, like Michigan’s, California’s or Georgia’s, severely limits the DUI defense strategies for litigants in the Palmetto State. But, this extended time frame may help many obtain DUI attorney payment plans. California – The DMV hearing moves very quickly, with the administrative license appeal being required to be filed within 10 days, and the hearing usually conducted within 90 days. A criminal defendant can file a “Serna motion” which is the name of California’s special speedy trial demand. This is done by the drunk driving attorney as part of the pre-trial process by the criminal defense lawyer on the accused citizen’s case. The criminal case will be scheduled for a hearing by the presiding Judge to determine if your case has been prejudiced by the delay, if the State is not ready to go to trial when the Court schedules it. DUI lawyer cost items and fee increments need to be spelled out, and should be easy for the client to understand. As seen from this expose on the differences in the right to speedy trial (in various states) will account for some states’ DUI attorneys needing their legal fee paid at the beginning of the case. The best DUI attorneys in each state can explain your legal right to speedy trial, and will explain to you the benefits and disadvantages of use of a demand for a speedy jury trial. Expert witnesses and court reporters will not commit to being an expert for you, and add your case to their calendar without payment of their fee, and travel costs, in advance. So, when asked by your DUI attorney, be prepared to pay these DUI case costs. Judges and the criminal justice system abhors delays and requests to reset a trial date. Jurors are summoned a month in advance, and with these citizens coming for jury duty, your Judge needs to have cases ready to proceed with trial. Going to trial without necessary expert witnesses, even with the best DUI lawyer, is like buying a Rolls Royce, but lacking enough money for gasoline to be able to drive it to your destination. All criminal cases should have a written fee agreement. All state Bar rules have this recommendation for all legal fees, including DUI attorney fees, to help prevent misunderstandings and disagreements that either need to be mediated by state Bar officials or go to a court for resolution. Since DUI defense attorney fees or any other fees for any other criminal defense cases cannot be made on a contingency basis, the schedule of amounts due and the written requirement of paying a DUI expert in advance must be laid out, in writing. In rare instances, criminal attorneys will seek to be paid on an hourly basis, but this rule seldom applies to DWI-DUI cases. The Internet is a great resource for exploring the details of a criminal defense lawyer’s prior successes in winning cases. Directories like AVVO allow DUI lawyers to post Case Results, in previous drunk driving defense cases. On a more limited basis, Google Plus attorney reviews can be helpful, but are usually more abbreviated. The client names for prior cases will not be posted online, but the facts and outcome can be listed. Case reported in the news might be one exception to this. Plus, most DUI attorneys add sample case victories to their Web site, to make it easy for Web surfers to review prospective drunk driving lawyer’s prior DUI case wins. Remember that no true DUI trial lawyer wins every case. Because our Clients facing DUI prosecution decide whether or not to challenge their criminal case in a jury trial, the DUI defense lawyer doesn’t get to “cherry-pick” the cases he or she will litigate. When the client says, “I am going to take my shot at winning,” then the DUI defense attorney is leading the way in Court. A DWI-DUI lawyer is merely the “director” of the criminal defense case, and the client is the “producer” (the person who pays for the “show,” which is usually the cost of a DUI attorney and any DUI expert witnesses called by the criminal defense lawyer on the defendant’s behalf). By the time all criminal discovery and pretrial motions are completed, the best criminal attorneys will know, with some degree of accuracy, how likely it is that your case can be won at a trial by jury or a non-jury trial (also called a bench trial). Their assessment will be based on EXPERIENCE in other DUI defense victories, when similar facts existed. Even if the DUI lawyer says that the odds are a 75% chance to win, that also means that in 100 trials, 25 would likely lose. In pro-prosecution New Jersey, which is the worst state in the nation for supplying accused citizens with meaningful criminal justice, the legislature has classified all DWI offenses as misdemeanors that do not trigger the right to a jury trial. So, a 1st offense DUI, 2nd offense DUI and 3rd offense DUI will all be misdemeanors, with a maximum of 6 months in jail. Hawaii has similarly gerrymandered its laws to deny a jury trial to accused citizens in that states, regardless of which offense it might be. Under the U S Supreme Court case of Blanton v. City of Las Vegas, which was decided in 1989, so long as no more than 6 months in custody is imposed, a jury trial can be denied, for misdemeanor DUI-DWI cases. So, the Sixth Amendment sets this as the “floor” of Constitutional fairness, and each state must then legislate its laws to create the “ceiling” of state constitutional or statutory right to a trial by jury. Due to these kinds of state laws, fewer citizens facing DUI-DWI charges go to trial in New Jersey, Hawaii, Louisiana, and Nevada since they see the game as being rigged, for most cases, by not allowing citizens to act as the deciders of DWI-DUI cases in these states. By reviewing dozens of prior case victories, you can likely find a case that has similar facts to your case. That does not mean that you will always win, too. Many other variables come into play, such as the composition of the jury pool, and whether jurors are mostly ultra-conservative, and the experience level of your prosecutor, at prosecuting DUI cases. Plus, the trial judge assigned to your case can be a critical factor, since subtle behavior and demeanor toward the DUI defense attorney during trial can be picked up by jurors. The best DWI lawyers, however, know how to “play” that pro-prosecution attitude of the Judge to their benefit, in building rapport with jurors from the voir dire (jury selection) process through closing argument. In every state, the very best lawyers in drunk driving defense are well-known either locally or even across the state, because word spreads quickly when a criminal defense lawyer wins “against all odds” in defending an accused drunk driver. Among the most difficult cases are arrests of entertainers, celebrities and sports figures, where jurors tend to hold such high-income individuals to a higher standard of finding an alternative way to get home, and avoiding a DUI arrest. But, the bottom line for the DUI defense lawyer is to assess THAT client’s case the same way as all others, which is to evaluate what evidence can be suppressed and excluded from trial, and improve the likelihood for success by winning pretrial motions. Often, when an accused drunk driver asks a local attorney for a recommendation of the best DUI attorney, he or she will point out facts from a a seemingly impossibly prior DUI trial that the recommended attorney recently won (possibly as reported in the news), when everyone was convinced that a conviction would certainly occur. When I Select a DUI Defense Attorney, How Many Times Do I Have to Go to Court? This is a variable that is controlled by each state’s criminal procedure laws or uniform court rules. For example, in California, a person facing a misdemeanor charge can allow his or her DUI lawyer to handle the entire case, including jury trial, with the client not being present. Yet, in Georgia, the client must be present for jury trial or final case disposition, and some judges insist on micro-managing the criminal court cases, despite statutory directives that a client can waive all court hearings except being at trial, for the final disposition of the case. To minimize our clients having to be present at needless calendar call dates, or administrative license suspension hearings, or even a pretrial motion to suppress hearing (unless the Client will be testifying here) we obtain separate powers of attorney for the DUI attorney to act on the Client’s behalf. If a Client wants to appear, to see what he or she is paying for, that is also fine. But, many successful business people need to attend to their own business matters, and will let their criminal defense attorney oversee the court case. Felony cases are different, and most states’ court rules require the accused party in a DUI felony case, or any other felony case to be present when court is convened on any matters. However, when a well-known attorney asks for a special exception to this, unless the Prosecutor objects, excused absences have been granted for our criminal defense law firm. The best approach is to emphasize (at your meeting with the criminal lawyer) the challenges you may have, by being required to be in court too often, and this loss of time on your job impacting your employment. Most DUI attorneys expect their clients to need to be at work, just to be able to keep earning money to pay the cost of a DUI case. In smaller cities, it is common for a DUI lawyer to be a lone wolf, and not have partners or associates. A smaller population base limits the amount of legal business available. However, most criminal defense firms that specialize in DUI do have 2 or more lawyers available, which has many advantages. An officer configuration with two or more criminal lawyers allows the best-known DUI lawyer in the office to attract business, and then allocate less difficult cases to the other attorney or attorneys within the DUI law firm, both as a means of generating more income, but also offering prospective Clients a reduced fee that matches the likely difficulty level of the case. Typically, the other attorney or attorneys have been trained for many years by the top DUI attorney, and have learned “the ropes” from him or her. In our Atlanta DUI lawyer office, we have three attorneys who are all partners, meaning that we share in the profits of the office. Both partners have worked with me since law school. All DUI attorneys at this law office approach each criminal case the same way, which is to find a way to win without risking trial, if possible. Failing that, the Client always decides on whether to accept a negotiated plea, or to proceed with trial. All three partners have winning records at trial, but each criminal justice attorney has built his own “circle” of connections, within the various courts across the State. With over 1000 different DUI court locations, statewide, and more prosecutors than that, it becomes obvious that no single “best DUI lawyer” fits every case. Our job is to WIN, so if it takes one partner, and not another, that is who we line up for our Clients. In some cases, two partners act as a tag-team, to find a way to win. By virtue of the mere age difference between the senior partner and younger partners, it is only natural that special law school relationships may exist for all three, since we all attended different law schools. Ironically, because each DUI attorney develops his or her own style and personality in negotiating and fighting cases, the availability of a different technique or methodology for winning is highly beneficial. Partner Larry Kohn likely has the best track record for winning difficult non-jury trials, in our DUI law firm. Partner Cory Yager has the highest percentage of DUI cases being reduced to a lesser offense, or being dismissed entirely. Most of the cases that the author personally takes are cases that are seemingly impossible to win, or have significant challenges, such as two breath alcohol test readings in excess of three times the legal alcohol limit in GA, or a client who drove through is garage door, and the back wall of the garage, before landing in the backyard, and having a 0.24 blood alcohol test, or a highly publicized local news anchor causing a head-on collision in a DUI crash. Plus, in DUI drugs cases, such as sleep driving, the author has successfully handled dozens of these complex cases. So, looking at the different talents of the three partners helps delineate which attorney at our DUI will be recommended for handling the case. The trial judge’s sentencing practices. Some judge, after a bench trial, will give a client minimum sentences, for whatever level offense the case may be (DUI first offense, 2nd DUI, etc.) That same judge may add on jail time for that same case, if the case is lost at a jury trial, especially if the Client testifies. Knowing these tendencies is of critical importance, and must be discussed with the Client. The trial judge’s record of non-jury trial acquittals, in defensible DUI cases, as compared to number of convictions in similar cases. This is an important factor, when winning is the objective. We share such information internally, and are part of an 80-attorney network of Georgia DUI lawyers, where these other attorneys’ experience can pay off for our clients. Are there sensitive issues involved in the Client’s case that a jury may not be able to “look past” and find a unanimous verdict of “not guilty?” In special cases where a Client’s bad or outrageous behavior, or use of racial slurs, or comments about someone’s sexual orientation have occurred and this has been caught on video, a bench trial may be a better route to take, in seeking victory, than a jury trial. In GA, the common practice is for police officers to write out citations, which are traffic tickets, which act as the accusation of whatever offenses are being brought against our client. Errors made in these tickets may not be caught by a pert-time prosecutor, and corrected before trial begins, as a bench trial. If not corrected, this error is fatal to the DUI prosecution, and is not subject to being corrected, once “jeopardy” attaches, by testimony at the trial being initiated. Then, a motion to acquit the Client of the DUI, due to charging a type of DUI that cannot be proven, wins the case. If this case had been transferred to a jury trial court, the error is almost always noticed by the prosecutor at the next level, and corrections are made. Then, that opportunity to win is lost. Have pre-trial rulings been made that are likely to overturn a guilty verdict on the DUI per se case (e.g., judge denied a Georgia implied consent law challenge that other judges have granted) and the other facts of the case are likely to not result in conviction on the DUI less safe count (example: DUI checkpoint arrest, and client sounded and looked great on police video, and refused all field sobriety tests, and made no admission of drinking). In such a case, a bench trial can result in a total acquittal for this client, when the appellate court overturns the DUI per se conviction, because the trial judge improperly allowed the breath alcohol tests in the case, despite the violation of implied consent by the police officer. In a court known to be very slow in filing a formal accusation, or (after arraignment) delaying trial for many months, the judicious use of either a statutory speedy trial demand as permitted by Georgia law or a constitutional speedy trial demand, or under the 6th Amendment to the US Constitution may be the way to win. This is done at a pretrial motion for discharge and acquittal or (in rare cases) as a mid-trial motion, once jeopardy attaches. Every year, about a dozen or more of our DUI law firm’s DUI cases get acquitted on speedy trial demands, following this DUI trial strategy. If we have special, inside information concerning either a premises video that the prosecutor and arresting officer do not know about, or a fact witness that has powerful information, or if we are aware that the officer will not be at court, this type of information can be invaluable. For a DUI in Georgia, in misdemeanor cases, reciprocal discovery is not required, from the defense to the prosecutor. All of these many methods of winning – and dozens more — can be implemented when a DUI case is thoroughly investigated, and the best experts available are called to testify for the DUI defense. Collaboration among the law partners is a part of almost every file. Plus, when an advantage is gained by transferring a case between partners, then we obtain the Client’s permission to substitute the partner who is most likely to win that criminal case. To contact the law office of William C. Head, PC, call (404) 567-5515 at any time. We will help you 24 hours a day, 7 days a week, including all holidays.